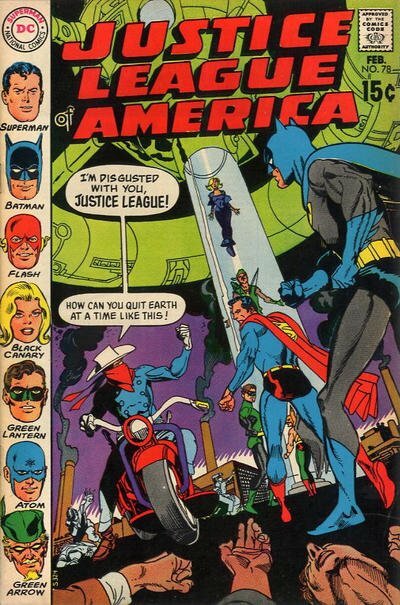 Click Here To See Justice League of America #78 Comic Book! 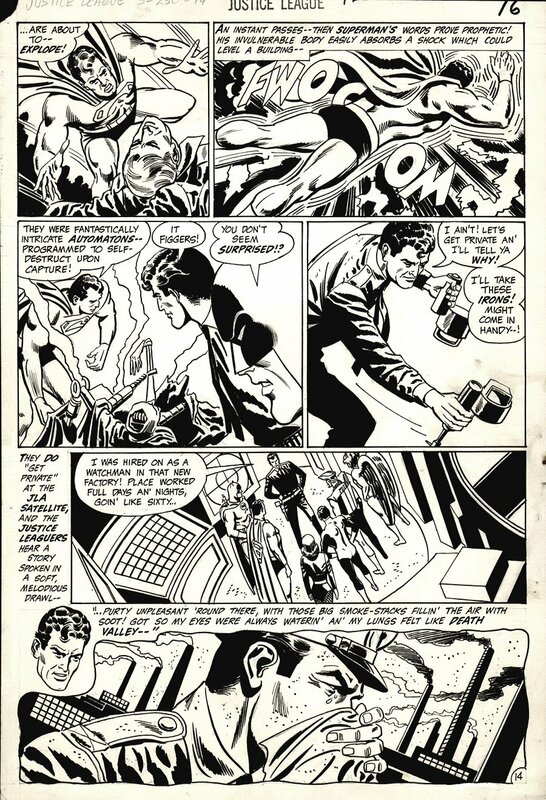 Superman, Batman, Green Lantern, Green Arrow, Hawkman, Black Canary, and Atom all appear on this 1969 Silver age Justice League of America page, making it a great example from this era of the team's run! This page also features a shot from inside of the JLA's new satellite headquarters which made its very first appearance in this issue! This orbiting fortress has gone on to be the primary base of operations for the JLA right up until the current era. With a Justice League Movie, interest in vintage art of the JLA team has been rising sharply. This is especially the case for pages heavy on characters and content, making this just the kind of piece that is becoming harder to come by. ALL art on our website (including this one) are able to be purchased with VERY fair time payments, and trades are always considered towards "ANY" art on our website! Just send us an email to mikeburkey@aol.com and we can try to work something out.